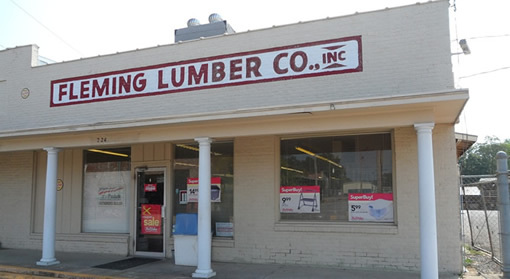 Family owned and operated, Fleming Lumber Co Inc offers a huge selection of building materials, as well as home improvement services, and even a locksmith service to customers in the Cleveland, MS and surrounding areas. Serving the community since 1929, we carry everything you need for your personal home improvement project from all types of hand tools to roofing materials. We have a registered locksmith on staff and are a unique hardware store in that we also offer high quality construction services including room additions, kitchen remodeling, and more.